This homepage is dedicated to stamps, whisky labels and lighthouses. Russia (Imperial Russia, RSFSR and USSR) and Hungary (Magyar Posta). 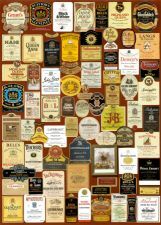 3550 different whisky labels from bottles. it is about my stampcollection of lighthouses on stamps. It is possible to submit your url free. Imperial Russia, RSFSR and USSR, including revenues, zemstvos, cinderella's and other related items. Stamps and perfins from Hungary - Magyar Posta. Julemærker from Denmark, but also from the other Scandinavian countries. Stamps (topicals) with lighthouses on it, worldwide. Catalogs and other literature about stamps. I also collect whisky labels from bottles. At this moment I have more then 2950 different whiskylabels. Not on stamps, but whisky labels from bottles, some information about whisky and some interesting links. Whisky labels, some examples of my collection. Overview in a text table of all my labels (more then 2950 different ones!!). I have scanned a part of my labels, about 170+. My interview (pdf) for the Dutch magazine "Whisky etc." Only in Dutch. stamps before 1950, see my want-list. Armenia, ever seen the stamps in these colors, I didn't ! 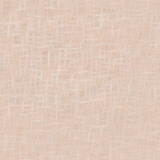 A really nice double perforation on a part of a sheet of the worker stamps. The three periods of Russia, imperial Russia - R.S.F.S.R. and the U.S.S.R. Unknown stamps - please help me to identify them, please also take a look at my cut-outs and cinderella's. Identified stamps - have you ever seen these ? Unknown perfins - please take a look at these rare items. Revenues - take a look at my revenues. These are the more general ones. Alcohol and Tobacco revenues from the late 1800's. Zemstvos - all you wanted to know about Zemstvos. Republics - read all about the Russian allied territories, republics and occupation areas. Scans of my stamps from Russian allied territories, republics, occupation areas and bogus issues, like British occupation Batum, Levante, Ukraine, Deniken and several bogus issues. Scans of non-postal exposition sheets from Russia, just a few examples. Unique, more then 100 different scans of the non-postal exposition sheets. Kargopol - see my latest acquisition, very nice cancellation!! Occupation Azirbayedjan - all the stamps with this overprint. Nostalgic Pictures from Russia, taken from very old postcards. Smolensk - How to identify the overprint from Smolensk. Rare stamps - take a look at really rare stamps, only a few known examples. Municipals - nice: stamps from the Moscow police. Cut-outs - nice: some old cut-outs from the late 1800, seems to be revenue papers. Cinderella's - a lot of old cinderella's, just take a look. Does somebody know there purpose? Military post: Czechoslovak army in Siberia. stamps with the overprint PORTO. stamps with the well known three hole triangle perforation. stamps with perforations of firms - perfins. stamps with overprints which are not in the normal stamp catalogues, like army stamps and private stamps. If you have any literature or information on this please let met know it. I have several stamps which I can't find, see the pictures. I hope someone can tell me more about them. Revenues - take a look at my revenues. Julemærker from Scandinavia, here are some examples of Denmark. From Denmark I also collect perfins. mainly the older ones, with lighthouses on it. I have an old catalogue from Seamark, fully illustrated which I want to exchange for a specialized catalogue of Russia or for information about revenues, cinderella's or for stamps. Copernicus, the well known astronomer from Poland. Precancels from Great Britain and Canada. Locals like Herm island, Lundy, Davaar, etc. I have several stamps, I think from Russia and Hungary which I can't find in the catalogues. Please take a look and try to help me. Lets take a look at the unknown Russian stamps and unknown Hungarian stamps or take a look at the identified revenues. Thanks to you all I have identified some stamps, take a look at the identified stamps. I also have some stamps with a round hole in it, stamps from 1909/1917 (Michel nr. 79-95), and a stamp with the perforation M.N.V. Does anybody knows what that means?? See the (4) stamps. - Russian philatelic magazines 1996-1998. The name of the magazine is "Philatelia". For an overview of my literature and catalogues please visit this page. my missing stamps, see my latest wantlist for my missing stamps from Russia, Hungary and Denmark. perfins from Russia, Hungary and Denmark. I can offer stamps worldwide but have a lot of Russia and Hungary. Lighthouses - on stamps, replicas and a lot of links. 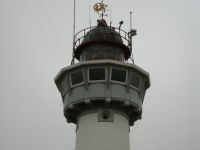 Picture gallery - of Dutch lighthouses. A lot of interesting and cool stamp related links. Add your url free !! Add your url related to stamps, whisky or lighthouses!